Way before Cristiano Ronaldo became a brand in himself, even before CR7 was dreamt up as a marketing ploy, the Portuguese player exposed serious shortcomings in one of the world’s biggest and most successful football clubs when he was just a teenager. With a single performance, he set the wheels in motion for a thrilling career that would see him go on to break records, defy expectation and evolve into one of the deadliest marksmen the beautiful game has ever seen. 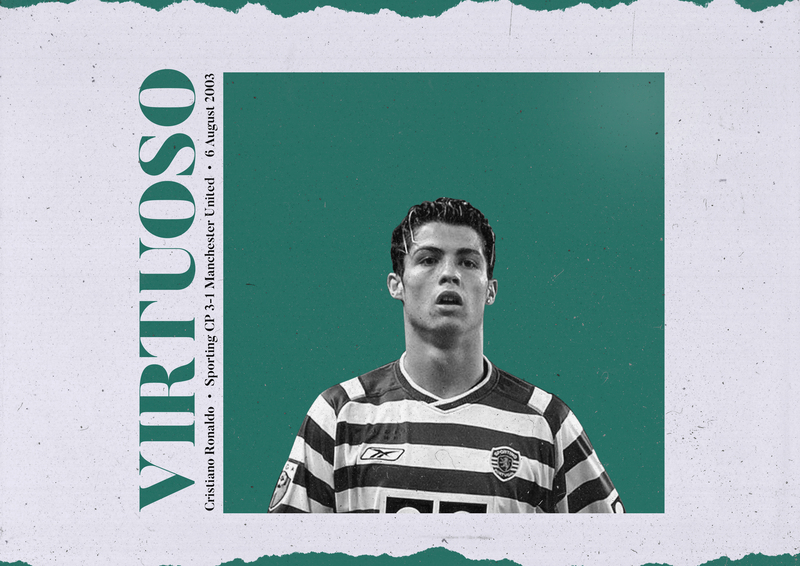 Despite the fact one newspaper labelled the clash a “meaningless friendly”, retrospect has since made clear that history chose to frame the game between Sporting CP against Manchester United, at Lisbon’s Estádio José Alvalade on 6 August 2003, as something so much more, both for the Red Devils and Ronaldo himself. It was a sweltering late summer night as both sides came together to christen the newly constructed stadium but, just before the match was set to kick off, Sir Alex Ferguson delivered his team-talk to the players as he often did, leaving only a throwaway comment at the end for his defenders to watch out for Sporting’s pacey, tricky winger. It was a routine enough speech for a run-of-the-mill match, but there was to be nothing routine about Ronaldo’s display. Although Ronaldo had already been earmarked as one of the hottest prospects in Portuguese football, his performance against United was the ultimate throwing down of a gauntlet. While many wonderkids had come and gone, and many were still being unearthed, Ronaldo took the opportunity to show everyone watching that he was capable of mixing with, and besting, some of the most experienced players in world football. In the cold light of day, it could be argued that United were fatigued. Having won four pre-season matches on the bounce and having just completed a lengthy three-week tour of the United States, coming into their final summer fixture before the real season got underway, there were probably some tired legs and some even more tired minds in the squad. However, considering the player Ronaldo has developed into over the years, his whirlwind, do-or-die display that evening comes as little surprise. It was as though he was auditioning for a transfer away from Lisbon and putting himself in the shop window for all the top European suitors to admire – after all, it’s no coincidence that he would sign on the dotted line for United less than a week later. United beat everyone else to his signature and his stay in the red half of Manchester would be as good as it gets for a teenage sensation coming to terms with the physicality and brutality of English football, despite a wave of expectation that he would ultimately be found out, burdened by a tag as the most expensive teenager in the history of British football. Although Ronaldo didn’t get on the scoresheet that night in August 2003, he tormented the United defence in every other possible way, forcing Fabien Barthez into a few crucial saves. Whether he was on the left or right flank, he looked very comfortable on the ball, and his pace was so striking that it allowed him to trouble almost every defender he came up against. Indeed, his willingness to change roles so readily was undoubtedly one of the less obvious pluses that piqued Fergie’s tactical brain enough to bring him on board. It was Ronaldo as we know him now, with all the drive, energy, determination and self-belief, but it was a raw version, for sure. He didn’t look like the same player he is now – his frame was slighter, he had highlights in his hair, braces on his teeth and he was a wholehearted winger keen on burning full-backs with searing pace; not the fox-in-the-box poacher we have come to associate him with. He was young, green and eager. His dribbling really caught the eye during the televised game and, although scouts across Europe had become familiar with his talent through the grapevine, to the rest of the world – everyday fans in the street – this was the first time many were experiencing the Ronaldo Effect in full flow. His prancing style was there to see, edging forward cautiously but always ready to bolt when attempting to navigate beyond a defender. So, too, was his penchant for the odd flick, trick, shimmy or step-over. 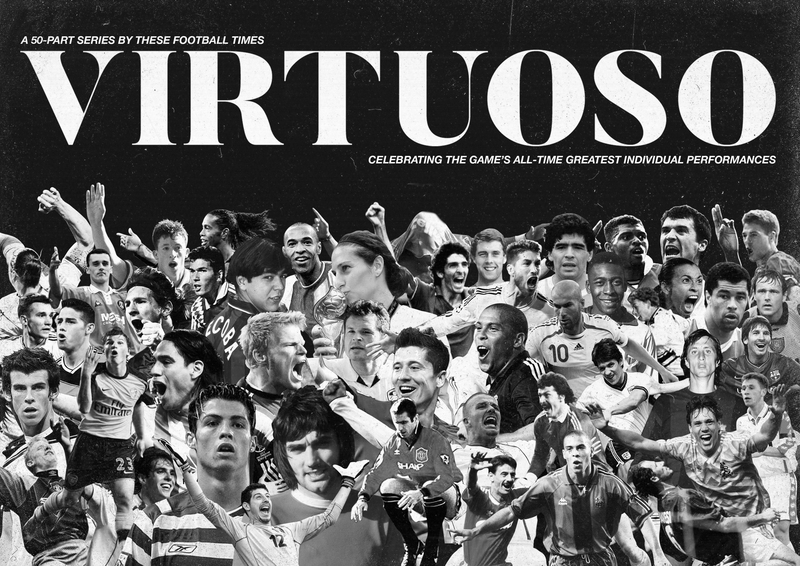 He was treading the line between entertainer and serious footballer, and that was what made him stand out. Oftentimes chided for his petulance and sometimes childlike outbursts on the pitch over the years, he exuded a great level of maturity against United on that night 15 years ago. When presented with the ball, he didn’t always take the selfish option, opting regularly to play one of his more centrally positioned team-mates in for a shot on goal or flicking a through-ball for an overlapping full-back to tear down the wing. In many ways, it was obvious that he would be a perfect fit for United – he encapsulated their “attack, attack, attack” mentality and he did it all with a unique style and brazen daring that champions require. His performance that night ultimately paved the way for him to change the course of United, and world football’s history; he became the star United needed to challenge in Europe again and provided them with a deadly domestic weapon who would entertain the Stretford End faithful, score goals aplenty and win titles still cherished today.